The number of military members separating from the military has increased. This is due to several factors, including the unpopularity of the wars in Iraq and Afghanistan and President Obama’s decisions to withdraw troops from these conflicts. These veterans are now looking for employment opportunities in the civilian sector, whether it is in the private business world or in the government sector. According to a report from the North Carolina General Assembly, the state has a veteran population of around 800,000 as of the 2012-2013 fiscal year. The total population of North Carolina is around 10 million people, so the veteran population is a significant class of individuals who choose to live in the state after their service contract ends. When it comes to employing veterans, several questions must be asked and answered by organizations in both the public and private sectors. 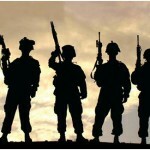 First, are veterans the preferred employee for private companies and government organizations? If so, do they possess skills outside of their military training that are transferrable to the civilian world and will allow them to prosper? Do veterans require additional education and job training after leaving the service but before they are hired? I would opine that military veterans are a preferred class of employees because of the myriad skillsets they learn and acquire during their time of service. These skills include, but are not limited to, discipline, teamwork, critical thinking, organizational skills and determination. These skills can serve organizations outside the military very well. There are employment opportunities that are similar to a military organization, such as law enforcement or security firms. However, most organizations do not operate in a military fashion. As a result, veterans must adjust their approach and demeanor when seeking employment in these organizations. There are a number of veterans who obtain undergraduate, graduate and even professional degrees while serving in the armed forces. They enter the civilian workforce as attractive candidates compared to other veterans who do not possess college degrees. However, the lack of a degree should not deter a veteran from seeking employment, as the skills acquired during their military service cannot be obtained in college classrooms. They simply have to find the right fit unless they choose to go to college or a trade school. Veterans are afforded a preference when applying for jobs, particularly with government entities in North Carolina. This preference usually guarantees veterans an opportunity to interview for a position but does not guarantees them a job. I am a hiring manager for a state agency in North Carolina and have interviewed and hired many veterans into state government positions. By and large, these veterans have transitioned very well into the civilian world. There have been a few that did not work, mostly because they were not a good fit for the organization. While I would argue that veterans are a preferred class, I would be remiss if I did not mention that the fit of the potential employee and organization is a crucial part of the process. As a society, we should continue to grant preference to our veterans. This preference can come in the form of higher education, job or trade training, interview skills and resume writing. There are many veterans who learn trade skills in the military that are easily transferrable to the civilian world such as welding, mechanical work, culinary arts, etc. More apprenticeships could be awarded to veterans to assist them in finding long-term employment based on the training they acquired during their service. I would further advocate that governments could make it easier for veterans with certain qualifications to obtain similar civilian qualifications for skills learned in the military. This could be achieved by reducing testing standards or restrictions and awarding these qualifications based on equivalent military training. Veterans should not be awarded a job they do not deserve or if they are less than qualified. Using their veteran status alone could become a detriment to the organization, both in the short and long term. However, society can do a much better job in assisting our veterans to make a successful transition into the workforce after their military service ends. Author: Jeffrey R. Zimmerman, Ph.D., received his doctoral degree in public policy and administration from Walden University. Dr. Zimmerman currently serves as the Director of Processing Services within the NC Division of Motor Vehicles. He can be reached at [email protected]. I agree with Dr. Zimmerman that Veterans should not be hired solely because of their Veterans Preference status. However, when Veterans are hired and their Veteran Preference status is used as one criteria for being hired, it must be understood through out the organization that the Veteran was not hired solely based on the Veterans Preference status. Many Veterans bring a wealth of experience, knowledge, skills, training, and education to the civilian workforce as well to local and federal government agencies.